The scene of a fatal accident involving a bicyclist and a VTA train in San Jose. 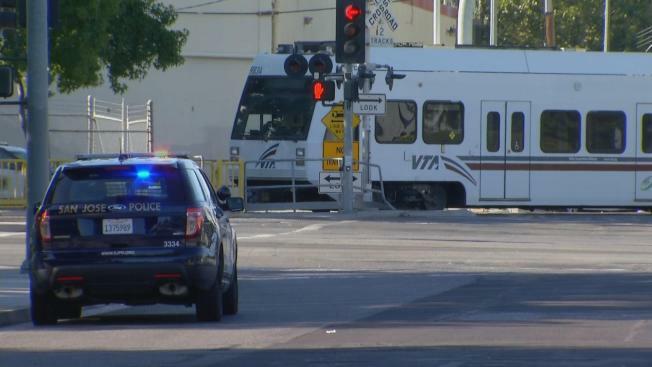 A bicyclist on Saturday was killed in a fatal crash with a VTA train in San Jose. The collision occurred at 4:30 p.m. at Parkmoor Avenue and Race Street near Interstate 280, according to VTA spokeswoman, Brandi Childress. The Santa Clara County coroner's office on Sunday identified the victim as 26-year-old Paul Candelaria. The victim's city of residence was not provided. VTA said in a statement that service on the Winchester - Mountain View light rail line had been disrupted. A bus bridge was set up to transport passengers between the Fruitdale and San Fernando stations.